Home / Unlabelled / WHEN WAS HAJJ MADE OBLIGATORY? WHEN WAS HAJJ MADE OBLIGATORY? The correct view is that Hajj was made obligatory in the ninth year AH and Allaah did not make it obligatory before that, because making it obligatory before that would not have been wise, as Quraysh prevented the Messenger (peace and blessings of Allaah be upon him) from doing ‘Umrah, so it was possible and likely that they would also prevent him from doing Hajj. Before the conquest Makkah was a land of kufr, but it was liberated from kufr after the conquest, after which enjoining Hajj upon the people was in accordance with wisdom. The evidence that Hajj was made obligatory in the ninth year is that the verse which enjoins Hajj appears in Soorat Aal ‘Imraan, where Allaah says (interpretation of the meaning): “And Hajj (pilgrimage to Makkah) to the House (Ka‘bah) is a duty that mankind owes to Allaah, those who can afford the expenses (for one’s conveyance, provision and residence)” [Aal ‘Imraan 3:97]. And this part of this soorah was revealed in the year of delegations (‘aam al-wufood). 1 –The large number of delegations who came to him in that year. Hence the ninth year AH was called the year of delegations. Undoubtedly receiving the Muslims who came to the Messenger (peace and blessings of Allaah be upon him) to learn about their religion was something important, and indeed we should say that it was obligatory for the Messenger (peace and blessings of Allaah be upon him), to convey the message to the people. 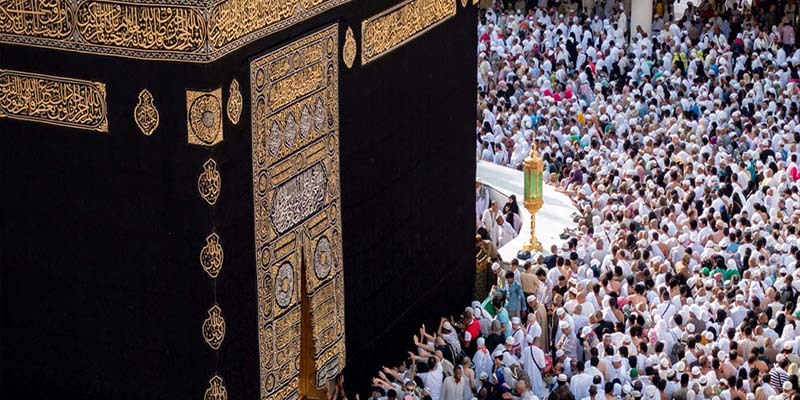 2 – In the ninth year it was expected that the mushrikeen would perform Hajj – as indeed happened – and the Prophet (peace and blessings of Allaah be upon him) wanted to delay it so that his Hajj would be only for the Muslims, and this is what happened. “In the ninth year it was announced that after that year no mushrik was to perform Hajj, and no one was to circumambulate the Ka’bah naked.” (Agreed upon). The people used to circumambulate the Ka’bah naked, except those who could find clothing to borrow from Quraysh to perform tawaaf in. But people other than Quraysh could not circumambulate it in their own clothes so they circumambulated it naked. End quote. The scholars differed concerning the year in which Hajj was made obligatory. It was said that it was 5 AH, or 6 AH, or 9 AH, or 10 AH. The most likely to be correct are the last two opinions, which is that it was made obligatory in 9 or 10 AH. And Allaah knows best.